Life just got a little sweeter in the island fishing village of Eastport, Maine. Jacobia “Jake” Tiptree and her best friend Ellie are opening a waterfront bake shop, The Chocolate Moose, where their tasty treats pair perfectly with the salty ocean breeze—and the scent of murder . . . When Jake and Ellie, who’ve been through a lot together, decide to open a chocolate-themed bakery, they figure it’ll be a piece of cake. With Ellie’s old family recipes luring in customers, they expect to make plenty of dough this Fourth of July weekend. Having family home for the holiday only sweetens the deal for Jake—until an early-season hurricane scuttles her plans. 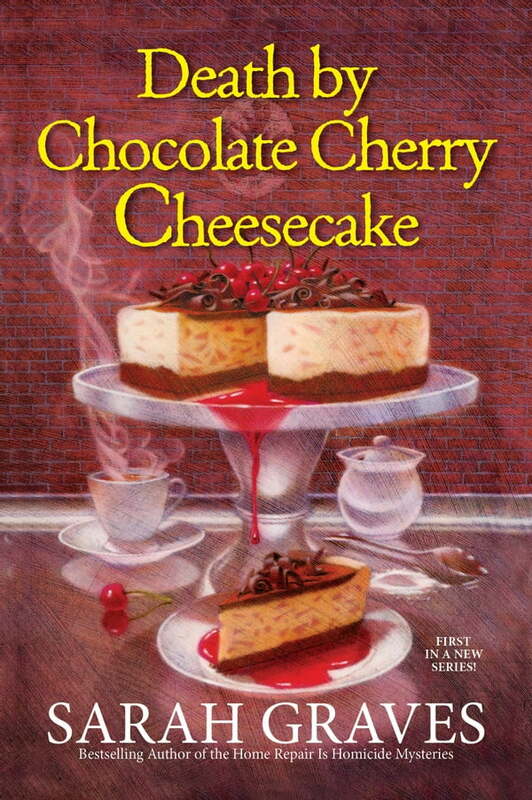 Worse, with her family scattered and stranded, health inspector Matt Muldoon is found murdered in the kitchen of The Chocolate Moose. Ellie never made a secret of her distaste for Matt, who had been raining on their parade with bogus talk of health code violations. Now, with no alibi for the night of the murder, she’s in a sticky situation—and it’s up to Jake to catch the real killer and keep Ellie living in the land of the free.